Now that the advocates of the High Court at Calcutta have unanimously decided to continue their cease-work for another two weeks ~ and this is the third and fourth successive week ~ it has become absolutely obligatory for them to justify their decision before the people at large and more particularly to the hapless litigants of West Bengal,all of whom clamour for early disposal of their respective cases. The advocates’ abstention from work will no doubt increase the huge backlog of pending matters awaiting disposal at the High Court, a conservative estimate of which runs into lakhs. Disposal of cases is a “must” and should mean ‘disposal with a decision’ and not merely “striking out” from the list of pending matters. The decision of the advocates is more than painful for the judiciary which universally professes that delayed justice almost amounts to denial of justice. 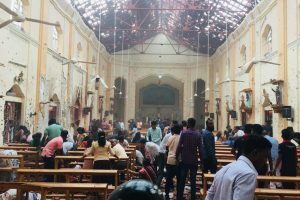 The Supreme Court, in several of its decisions, has given an inviolable sermon that the advocates do not carry with them any right to cease work or abstain from work and any breach in defiance could subject the striking advocates to punishable action under the contempt law. This is because the advocates are officers of the court and enjoy special status in society. Advocates have obligations and duties to ensure the smooth functioning of the court. They also owe a duty to their clients. Strikes by them interfere with administration of justice (Ex-Capt. Harish Uppal vs. Union of India, (2003) 2 SCC45). All the advocates and particularly the advocates of the High Court are or should be aware of this Constitution Bench judgment and its unanimous observations made in the judgment. Indulging in cease-work or strike or abstention from work has been judicially depricated and thus held against the advocates. The Supreme Court further observed that it is the duty of every advocate, who has accepted a brief to attend the hearing, to attend court. He cannot refuse because of a cease-work call given by the Bar Association. The Courts are also under an obligation to hear and decide cases brought before them; otherwise it would tantamount to becoming privy to the strike. 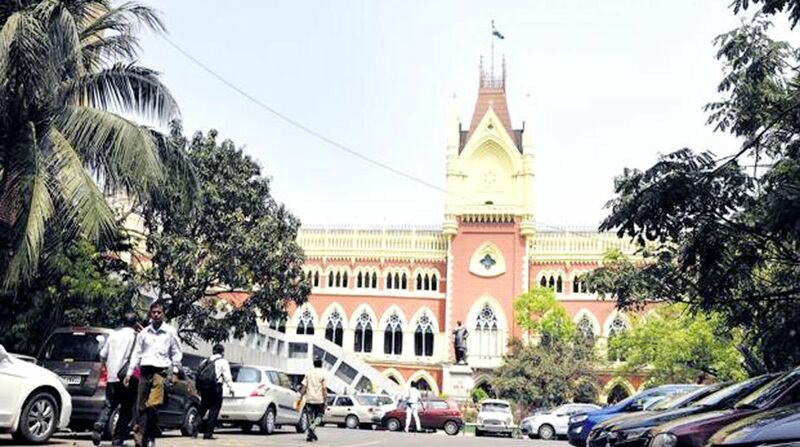 In the teeth of the precarious legal position, the advocates of Calcutta High Court have repeatedly indulged in going on strike, taking the risk of being punished for disrupting the court proceedings and putting interests of their clients in jeopardy. (e) Grievances against the legislature or a piece of legislation. (I) Local issues ~ 1. Disputes between lawyer/ lawyers and the police and other authorities. 2. Issues regarding corruption/misbehaviour of judicial officers and other authorities. 3. Non-filling of vacancies arising in courts or non-appointment of judicial officers for a long period. 4. Absence of infrastructure in courts. 1. Withdrawal of jurisdiction and conferring it to other courts (both pecuniary and territorial). 2. Constitution of Benches of High Courts. Disputes between the competing. District and other Bar Associations. (III) Issues involving dignity, integrity, independence of the Bar and judiciary. (IV) Legislation without consultation with the Bar Councils. (V) National issues and regional issues affecting the public at large/the insensitivity of all concerned. The reason for the present abstention from work by the Calcutta High Court advocates is that the Supreme Court as also the Central Government have not been performing their respective duties to help speedy appointment of judges in the High Court. The Supreme Court in Advocates-on-Record Association vs Union of India ((1993) 4SCC 441) had said that the process of appointment of judges of the High Courts is an integrated participatory consultative process for selecting the best and most suitable persons available for appointment and all the Constitutional functionaries must perform their duty collectively with a view primarily to reach an agreed decision subserving the constitutional purpose. Initiation of the proposal for appointment of judges in the case of the High Court is to be made by the Chief Justice of that High Court. In the present case, it is understood that the High Court Chief Justices in three lots had initiated the proposal for appointment of as many as 18 persons as judges of the High Court but the Supreme Court collegium recommended the names of only five advocates so far for their appointment as judges of the Calcutta High Court in December, 2017. The central government has been inordinately delaying its part of the job for the appointment of even those five advocates without any reason. Once the recommendation for appointment has been made by the Collegium of the Supreme Court the central government cannot have any excuse to veto the appointment once the provisions of the National Judicial Appointments Commission Act, 2014 have been struck down as unconstitutional. It may be noted that the earlier Collegium system for appointment of Judges was criticised for opacity. The Constitution Bench in its judgment in Supreme Court Advocates-on-Record vs. Union of India (2016) 5 SCC1 revived the Collegium system with more transparency. The actual appointments of High Court judges are made by the President by warrant under his hand and seal. The central government was, in the present circumstances, only required to advise the President for appointment of the recommended advocates. The issue has been made further complicated when it was found that only the names of three advocates out of five recommended by the Supreme Court collegium have been sent to the President for appointment. This non-filling of vacancies is not the only reason which has prompted the advocates to adopt a unanimous resolution to go on strike at the High Court. The writer is Barrister and Senior Advocate and former Advocate-General, West Bengal.